God sovereignly brings visitors to your church. 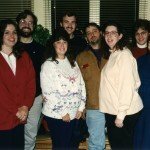 Joy at serving as a church greeter. Complaints about experiences with rude church greeters. Sarcasm aimed at unprepared greeters at church. Nervous greeters announcing how nervous they are. Comments that are generally inappropriate for church greeters to make. I consulted with the Church Hospitality Team leader of a large urban church that is developing a parking lot ministry greeter team. Over the decades, this church has acquired neighboring parcels of land in the city to expand their campus. The end result being that there is no contiguous land parcel for one parking lot. Instead, there are small disconnected parking lots scattered around the campus of multiple buildings. The question we explored is how to help first time church visitors navigate the complexity of multiple parking lots when certain lots are full. Videos can make for great discussion starters at your gatherings for hospitality workers or church greeters. Use as a discussion starter for your next church greeter training or hospitality training meeting. I enjoyed the humor and the painfully true characterizations. What are some better ideas at small talk? Share experiences of greeter small talk that was awesome or awful. How to make small talk without being nosy. What about the next week? You could potentially use this video in a church greeter training meeting. 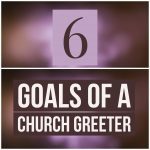 I’ve gathered the 10 most popular articles on greeter ministry in this simple tutorial. Take a few moments to browse and click. Then sign up for our weekly updates to get the latest articles on greeter ministry, hospitality ministry, and evangelism ministry each week. 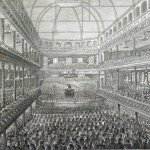 Many churches have bought into church growth technique as if hospitality technique will reinvigorate a church in transition. 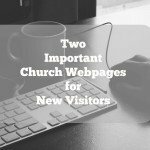 Church growth statistics on visitor retention and try to match them. The best church visitor assimilation process. All of this is technique.